This landmark release marks the point at which the entire Mercury Living Presence catalogue, as remastered by original recording producers in the 1990s, is available in physical form. 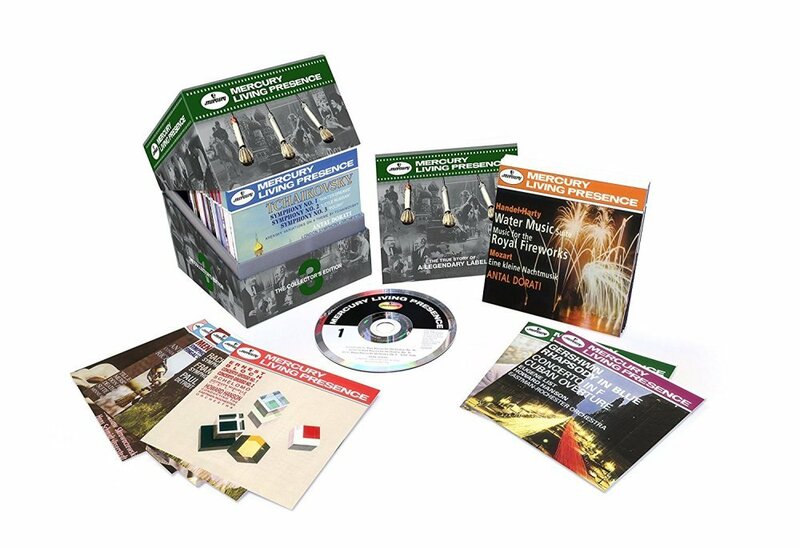 Decca are also proud to present, in this concluding cube, no fewer than 10 albums that have never before been on CD, restored and remastered from fragile tapes, to allow the fullest possible ever appreciation of a landmark label in the history of classical recorded music. Furthermore, the booklet is a model of its kind, setting out in the fullest possible detail everything about the recording, from the engineers and producers to the microphones, tapes, dates and locations. -CD43: Beethoven: Symphony No.3 in E Flat - "Eroica"
CD7: Rimsky-Korsakov: Capriccio Espagnol; Borodin: Polovtsian Dances etc. CD27: Berlioz: Symphonie fantastique; Hungarian March; Trojan March, etc. CD30: Lalo: Namouna / Chausson: Symphony, etc. Holl?nder Overture; Rienzi Overture, etc.